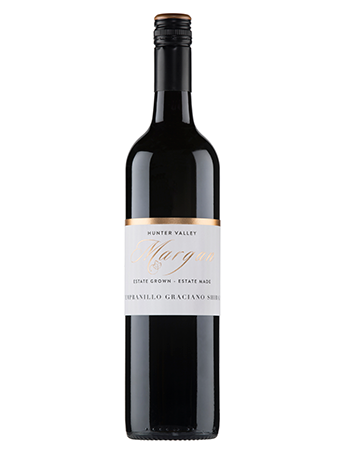 The 3 varieties were inter-planted by Margan in the Hunter Valley in 2010. The grapes are picked at the same time and vinified together, as often done in Rioja, where the influence comes for the wine. Fruit and spice in equal balance: dried taco seasoning (crushed peppers and sweeter spice), cedary influences over purple berries, dried rosehip with underlying black olive bitter-sweetness. Love the juxtaposition: juicy, bold acidity with dusty tannins underpin pippy purple berries. Great food matching wine.